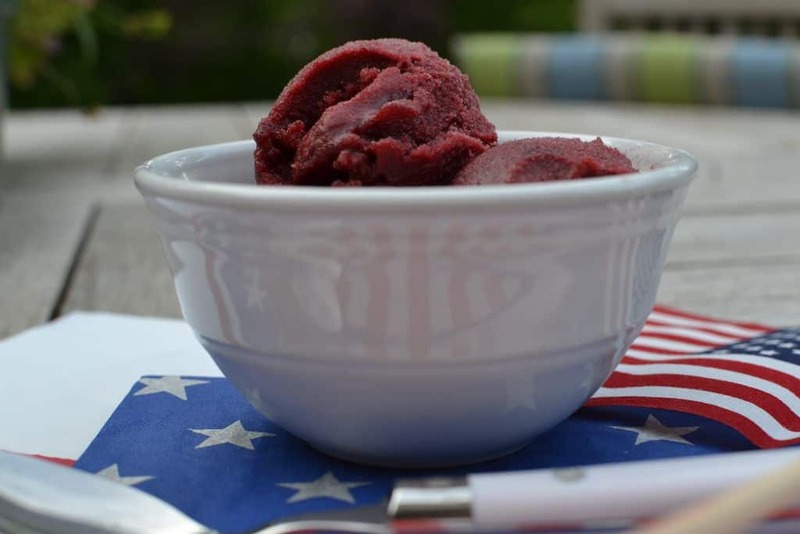 Summer is here and it is time for our family tradition of making blackberry sorbet. You have to make this stuff by the gallon around here. First make yourself a simple syrup. I used 4 cups water and 4 cups sugar. Put it on the stove and bring it to a boil making sure that all the sugar is dissolved. Take it off the heat and cool it down. After the pan has cooled some I put mine in the icebox for several hours. After it has cooled you will mix batches of 1/2 blackberries and 1/2 simple syrup through the blender. You will have to do this in batches. 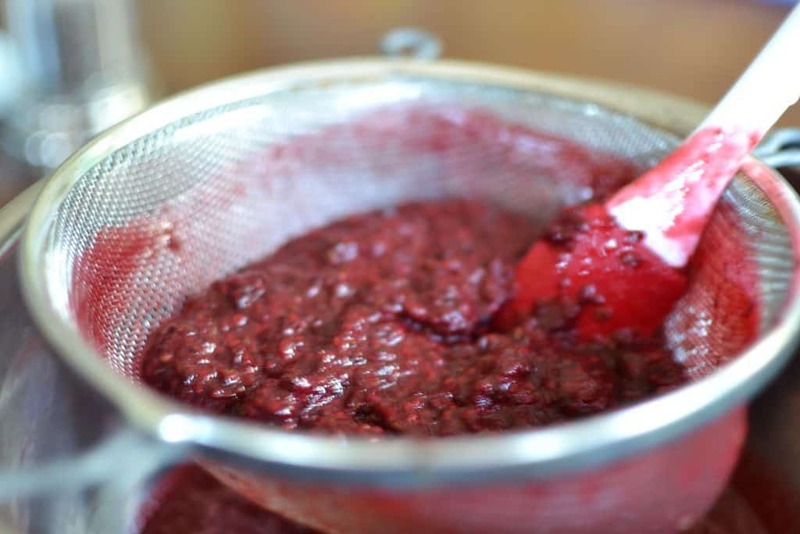 You will need to run the blackberry mixture through a fine strainer and remove the seeds. Again you will have to do this in batches. 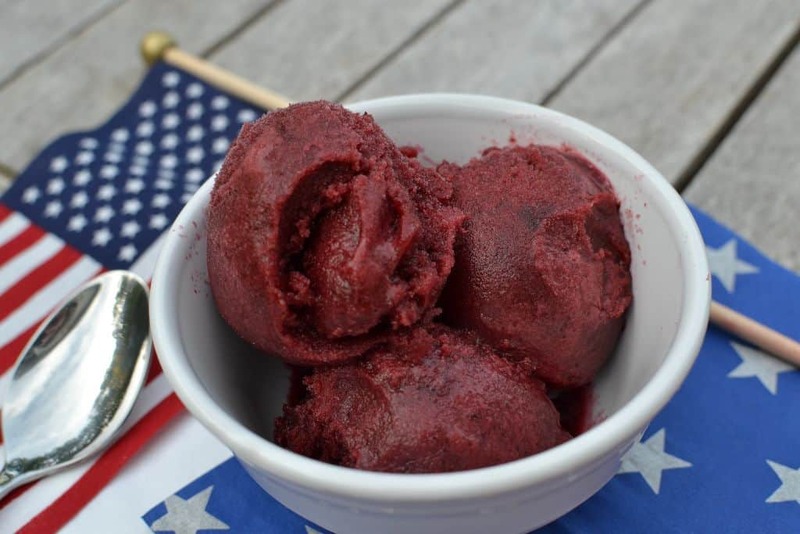 This is kind of tedious but wait till you taste the blackberry sorbet. While you are running this through in cycles add the lime juice to one of the cycles. Don’t worry which one. It will get all mixed up when you make the sorbet. 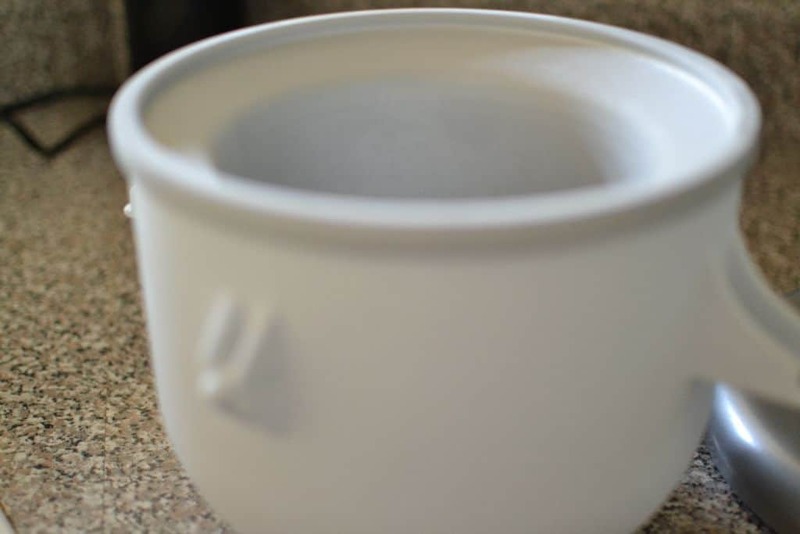 Get your ice cream bowl and attachment out. Whatever you want to use is fine. I really like my old fashioned one with the rock salt and ice but I am low on ice so I will use this one. 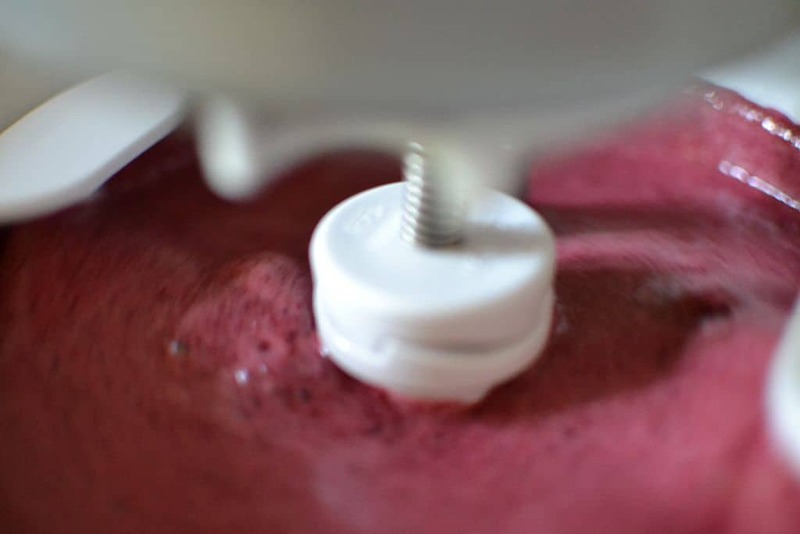 Pour the strained blackberry mixture into the ice cream maker! Churn away for about 45 minutes or until it is soft serve. Put the rest in an airtight container to enjoy later. Combine the sugar and the water in a large saucepan. Bring to a low boil and stir until all the sugar is dissolved. Cool completely by either submerging in an ice bath or putting in refrigerator. 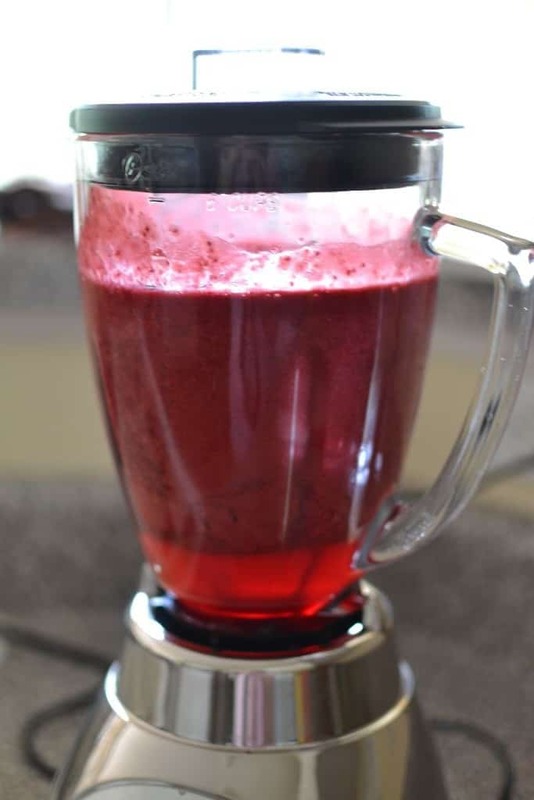 Combine batches of 1/2 blackberries and 1/2 simple syrup (the sugar/water combo) in the blender. Run these batches through a strainer to remove blackberry seeds. When seeds are removed transfer to pitcher. Work in batches moving everything into the blender and through the strainer. When complete transfer to ice cream maker. Churn for about 45 minutes or until soft serve and freeze the rest in an airtight container. You will have to work in batches for a large amount. You will also have to be familiar with your ice cream maker as some require rock salt and ice. These are my favorite ice cream makers. Do not try to put that very hot saucepan in the refrigerator. Let it cool. You don’t want to take any chances of cracking your refrigerators glass shelves.